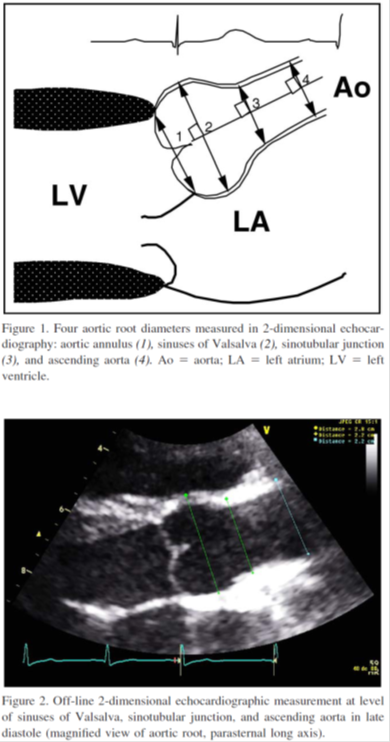 Please note that the American Society of Echocardiography recommends that the aortic annulus and root be measured in systole, not diastole as shown. 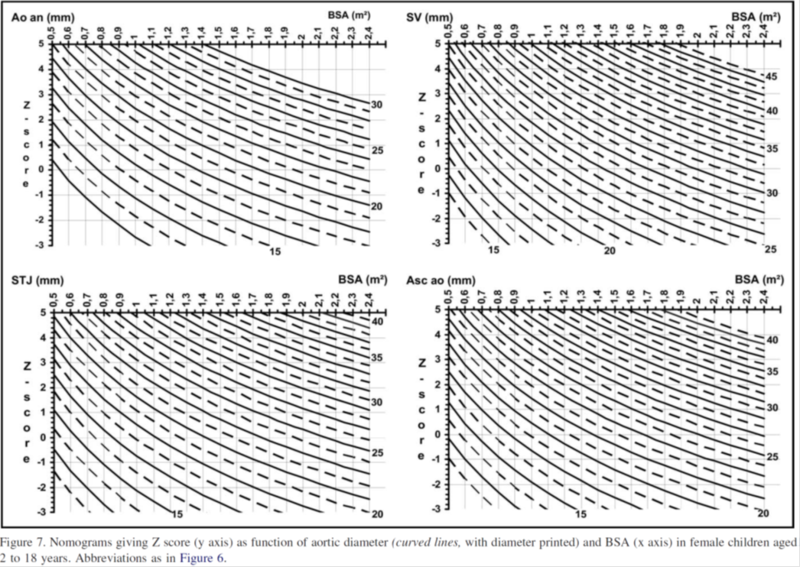 See Lopez et al, "Recommendations for Quantification Methods During the Performance of a Pediatric Echocardiogram...: J Am Soc Echo, 2010;23:465-95. 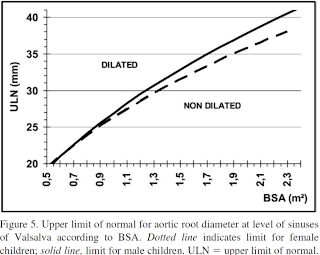 Norms for management of Marfan syndrome patients with dilated aortic root have been established using measurement of aortic root. 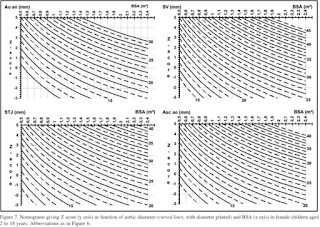 Therefore, if one wants to use those nomograms for managing a patient with Marfan syndrome, the measurements should be performed as indicated in those studies (in diastole). 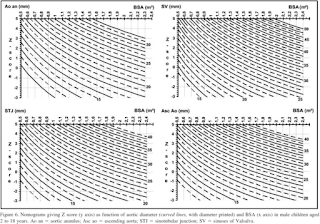 Reference #13 (Roman MJ et al. 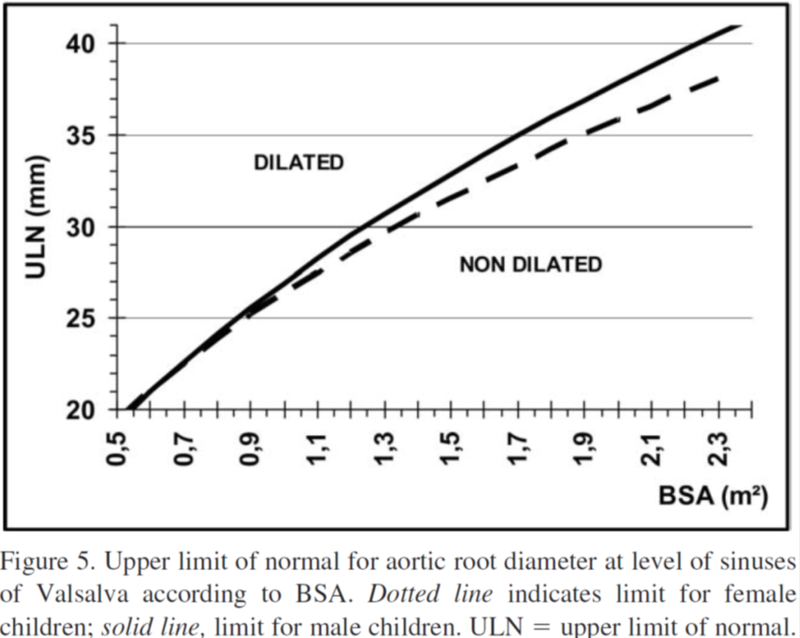 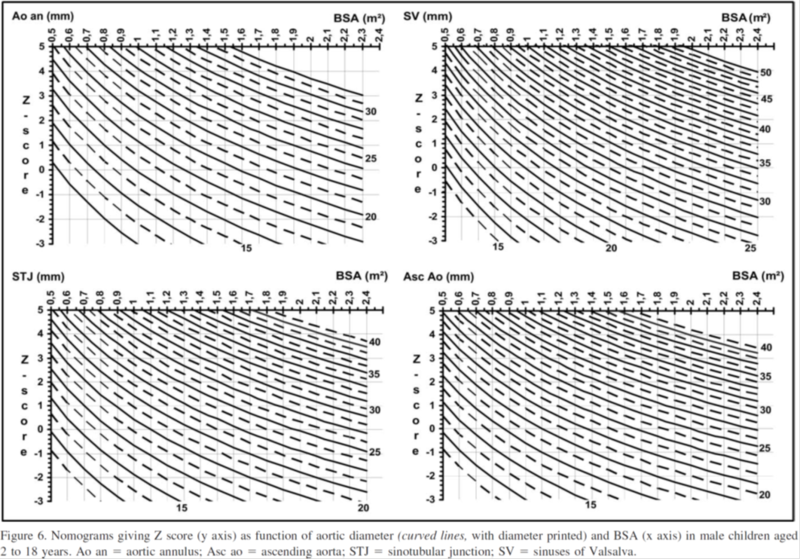 1989) in ASE guidelines article is the nomogram widely used.